Handcrafted in upstate New York from components made in U.S.A.
Non-slip Santoprene® rubber grips molded into the handles. 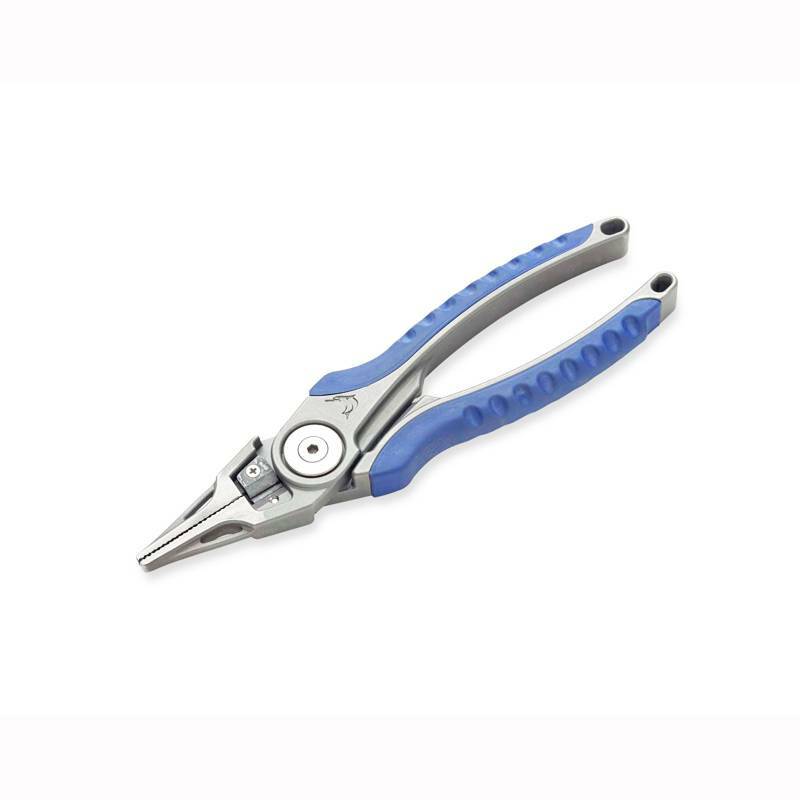 Super sharp (tungsten-carbide) blades cut nylon, mono (up to 450 lb. ), braided line, super braids, and wire (braided and single strand) up to 180 lb. test.Replaceable Blades, so you will always have a clean cut. 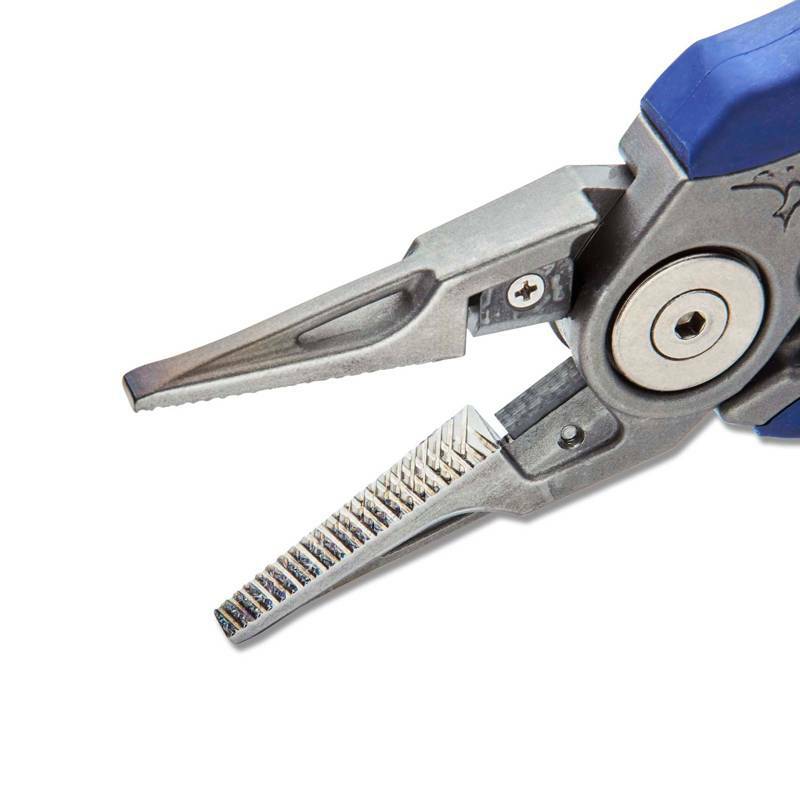 The ‘gripping’ surface of the jaws features a 20° diamond pattern for a secure hold. The pivot bearing is machined from solid brass. It is electroless nickel plated for a lifetime of smooth operation. Internal spring loading allows convenient one hand operation. 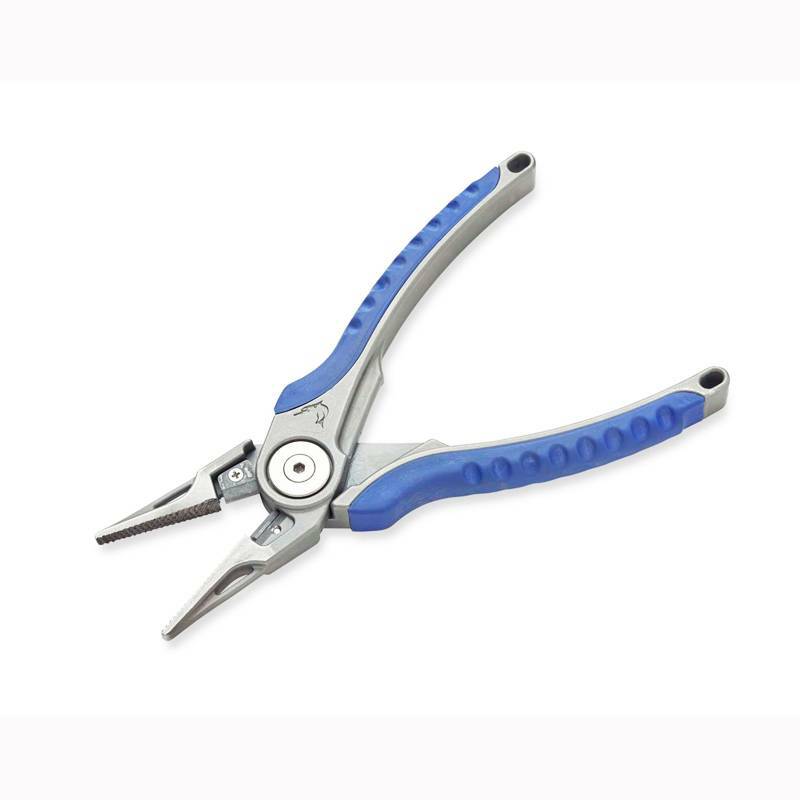 Donnmar pliers will not rust, corrode or oxidize.